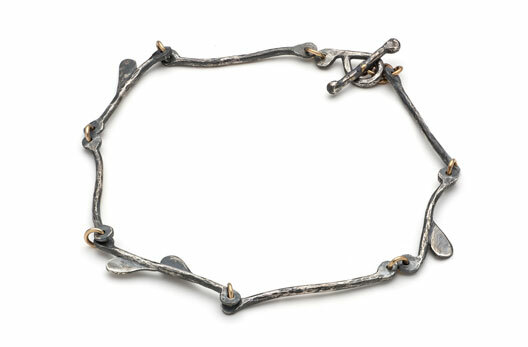 Taking inspiration from nature’s sense of fragility and strength, Sarah Jane King’s visually poetic jewellery presents unique design and delicate detailing with accents of gold. King’s emotional response through drawing, watercolour and mixed media is collected within her art journal and translated into her work with silver. 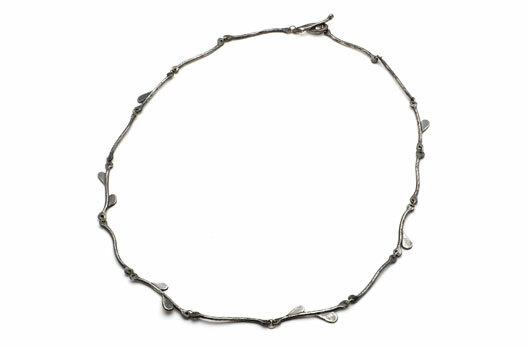 Recreating her mark making as if ‘drawing with wire’, each piece of silver is carefully oxidised and polished, with an intention to resemble the graphite qualities of the pencil. 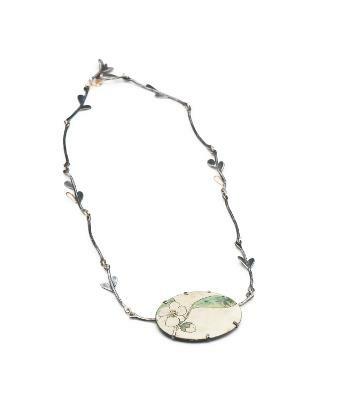 The flow of drawing is the undercurrent of each item of jewellery and the silver acts as an extension of Kings beautiful and spontaneous floral artwork which is enamelled with precision onto copper. 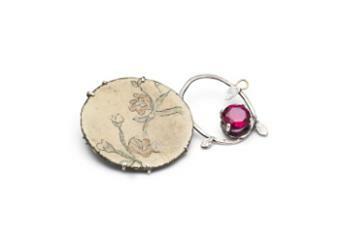 Each of these miniature paintings are held in place with delicate claws of silver and a splash of colour enhances some pieces with the use of semi- precious stones. Sarah Jane works from her home studio in the heart of Cornwall. 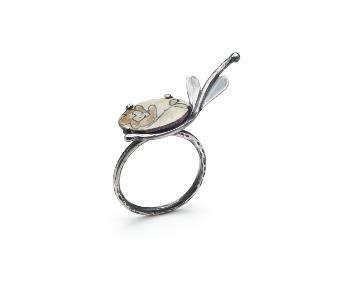 Achieving a BA (Hons) in Jewellery and Silversmithing, she is also a member of the Cornwall Craft Association and the Guild of Enamellers.